Why did 4,529 recruitment agencies launch in 2016? Home All Articles Why did 4,529 recruitment agencies launch in 2016? 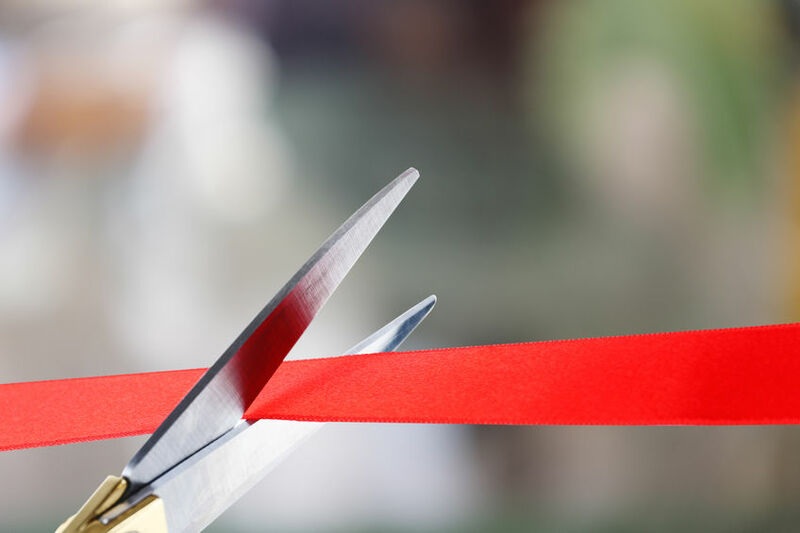 The number of recruitment agencies in the UK is on the rise. In 2016, there were 4,529 recruitment agency startups - a 13.7% increase on the previous year. This has taken the total number of recruitment agencies in the UK to 26,901. But why is now proving to be such a good time to launch a recruitment business? The growth in startup businesses is not unique to the recruitment sector. Last year, 637,918 new companies (across all sectors) were launched in the UK, nearly a 5% increase on 2015. In the first half of 2016, around 80 new businesses were starting up every hour - that's 1,920 everyday and 342,927 for the total six month period. 2,926 of these startups were recruitment agencies. This trend has two impacts. More startups means more jobs and a greater need for recruitment agencies. A growing trend in startups creates an entrepreneurial wave and inspires others. Currently, startups are worth nearly £200 billion to the economy and this is expected to rise to around £217 billion by the turn of the decade. 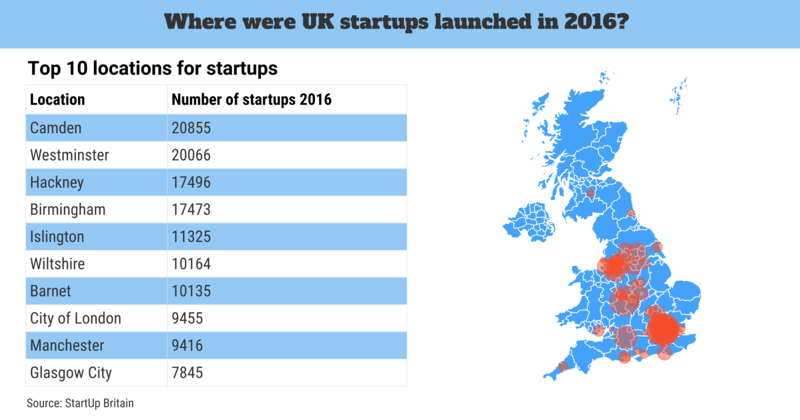 Unsurprisingly, London (and the surrounding south-east area) is the epicentre for UK startups. Manchester, Birmingham and Glasgow were the only places not in the south-east to make the top 10, while cities such as Liverpool and Sheffield didn't even make the top 20. Setting up a small recruitment business is relatively easy (turning one into a profit-making success is a different story!). Okay, then you've got the cost of insurance, building a website, professional services etc, but just starting a recruitment agency requires very little in the way of resources. Oh, you'll also need a database, but thanks to job boards and similar services, recruiters can tap into a large talent pool (for a cost, obviously). What I'm trying to say, is that you don't need to hire staff (at the beginning anyway), you don't need to buy equipment and you don't need to rent premises. This makes starting a recruitment agency cheaper than starting up many other types of business. There are recruitment startup businesses who can make the process even easier! These support services can help with everything from getting your accounts sorted to building a website. Even though there's a short term expense to this, it can minimise the risk of poor decisions and prove to be more cost effective in the long term. The comparatively low cost to start up, coupled with the rise in support services, makes a recruitment agency an attractive business venture. In Europe, only Sweden has a higher first year survival rate than the UK. The survival rate for small businesses after one year is 91%, with 42% surviving beyond five years. These high survival rates are great news for the UK economy and a big encouragement to potential entrepreneurs. Between 2014 and 2016, the survival rate for new recruitment agencies was 78.3%. Put another way, that's nearly eight in 10 agencies. Making the transition from infancy to fully established organisation. If you're a recruiter who's only looking to sustain a micro business (rather than grow an empire), then the early survival rates are promising and may tempt new agencies into the market. As many of the UK's key sectors face a lack of suitable candidates, specialist recruitment agencies have started to emerge as competitors to large multi-sector firms. With a demand for certain types of staff being so high, recruitment agencies have recognised an opportunity to provide focused services to niche areas. Skill shortages in education have seen schools increase their spend on recruitment agencies. The biggest demand is for supply staff, and in 2015/2016, UK schools spent £556 million on agency fees. This doesn't include academies, with which, the total figure is likely to have topped £1 billion. Although the government is spending more than £700 million annually on recruiting and training teachers, and the industry is still able to attract new entrants, the sheer number of those leaving the industry means that targets aren't being met. As more people are leaving the healthcare sector than are entering it (combined with a growing and ageing population), the NHS is suffering a skills crisis. Every profession within healthcare is currently experiencing a shortfall, with nursing and midwifery struggling more than other areas to meet staffing demands. There are around 400 recruitment agencies that are approved to supply staff to NHS organisations and they are in high demand to find qualified professionals for permanent jobs and short term cover. The construction industry is unbalanced. While output is on the rise, the lack of skilled construction workers is holding back the industry from making further growth. One of the biggest challenges is tackling an ageing workforce. 22% of construction workers are over the age of 50, and 15% are over 60. This doesn't bode well, especially when we consider that a CITB report showed the industry only has a 4.2 appeal rating with 14 to 19 year olds. Simply put, the skills that are leaving the industry aren't being replaced. This has created a demand for construction recruitment agencies who are able to not only find competent workers, but are also able to tap into a young talent pool. Following the 2008 market crash, recruitment agencies were struggling. As businesses responded to the recession by tightening the purse strings, there were less jobs around and a lesser demand for recruiters. Well, the economy has since improved and there are now more jobs to fill. 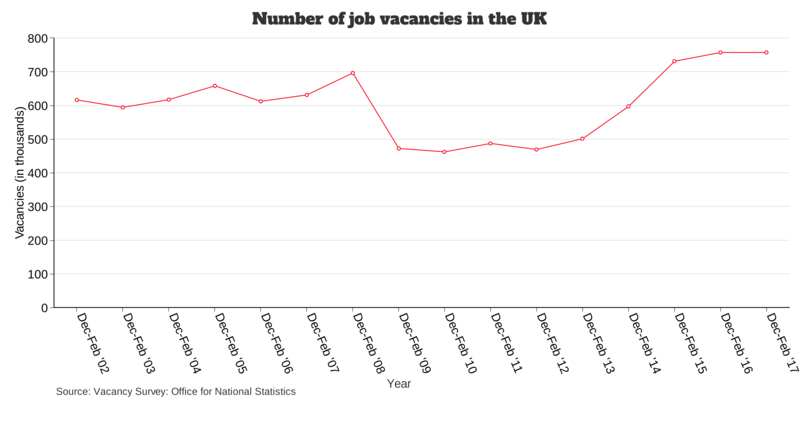 The number of job vacancies in the UK is at its highest point in the last 15 years. For the period December to February 2017, there were 757,000 job openings. This figure has been helped by the aforementioned number of startup businesses. As you might expect, the rise in vacancies has increased the demand for recruitment services. 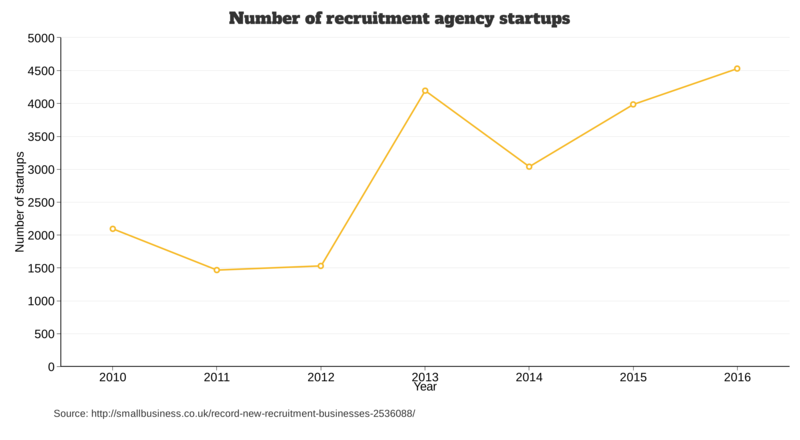 As the above graph shows, the number of recruitment agency startups shot up between 2012 and 2013. This is the same period of time when job vacancies began to rise. In fact, there has been a 56% increase in the number of agency startups in the last five years, with 17,271 launching since 2012. As the UK economy recovered post-recession, the number of startups has grown exponentially. Recruitment agencies have been a part of this trend, and coupled with the rise in jobs, it's no surprise that budding entrepreneurs are increasingly launching staffing businesses. Brexit has created an uncertainty within the recruitment sector, but the market is expected to remain healthy throughout 2017 and continue being a popular field for new businesses.